Our intensive lessons are aimed at new and experienced drivers who want to get their full UK drivers license as quickly as possible. We are highly experienced when it comes to intensive driving tuition. For detailed explanations on our intensive courses designed specifically for you, please call one of our helpful advisors and we will be happy to help you. Our fast track intensive driving courses are designed to get you to test standard through intensive training over a period of days and weeks. Our intensive driving course in London is available for people who have busy schedule. If you think that our fast track intensive driving course is ideal for you, and you want to pass in a week then please call us for now for more information. 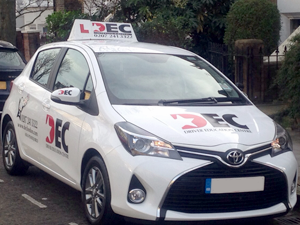 Our fully qualified DSA Approved and experienced driving instructors will carefully guide you through the learning stages and will make sure that you will pass the practical driving test.